2009 Crop Circle season has begun! 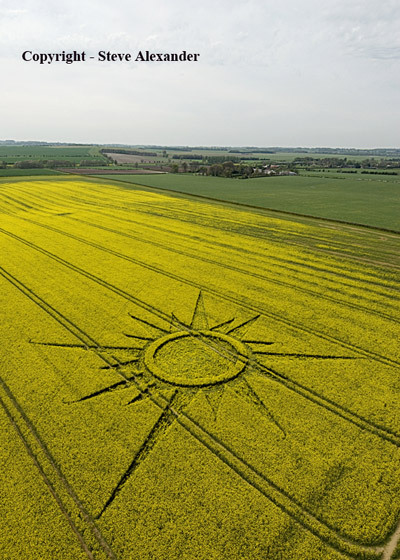 The season has begun with several new designs appearing in rapeseed in Wiltshire, UK. The first reported on the 14th of April at the Ridgeway, near Averbury. The first two photos courtesy and copyright of Lucy Pringle. 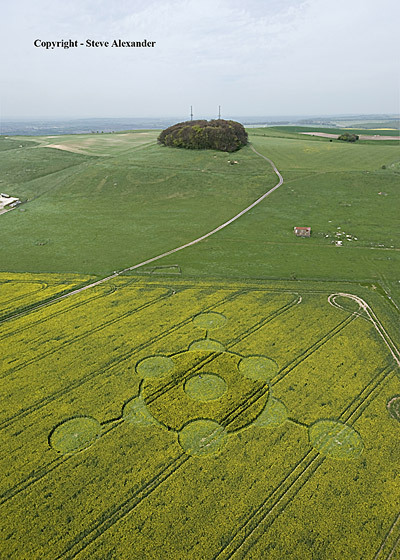 Followed by another reported at West Kennet Longbarrow, near Avebury on the 19th of April. The third formation of the season was reported again near Averbury at Rutlands Farm on the 23rd of April. Being quite a busy start to the season another formation was reported on the 24th at Morgan’s Hill, this time near Devizes! And yet a 5th formation reported on the 25th of April at Liddington Castle Fort, near Chiseldon. 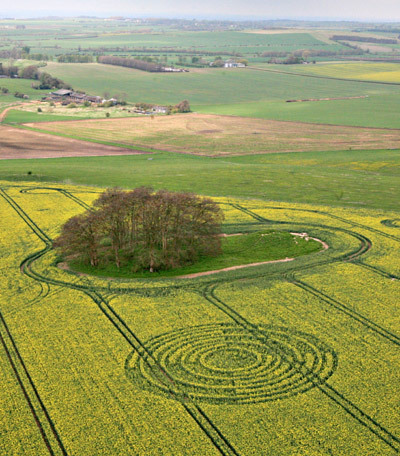 So we see a very active April and beginning to the 2009 crop circle season! 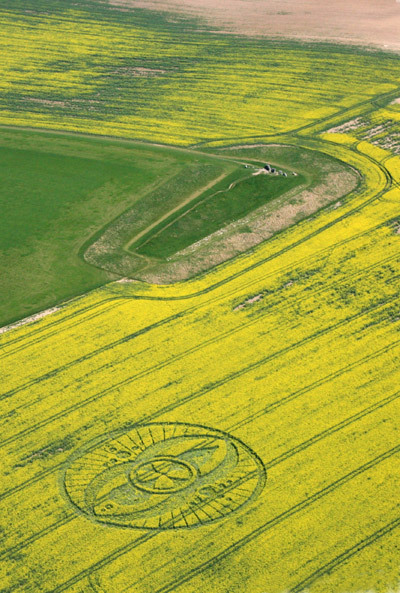 You are currently browsing the Crop Circle Explorer Blog blog archives for April, 2009.